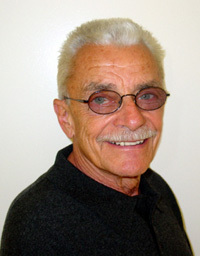 David A. Deitch, Ph.D., a Clinical and Social Psychologist, is currently Professor of Clinical Psychiatry at the University of California, San Diego, and Director of the Addiction Training Center. Dr. Deitch has 40 years experience in the development of drug abuse treatment systems for adolescents and adults, nationally and internationally. Dr. Deitch served during the Johnson Administration as consultant to the Presidential Commission for the Study of Crime and Juvenile Delinquency, and the National Commission on Marijuana and Drug Abuse. During the Carter Administration, he chaired the White House Task Force on Prevention. He has numerous publications (and videos) in the field and is currently the Principal Investigator on three Federal grants. He appears in the following best-selling series exclusively available through FMS Productions.